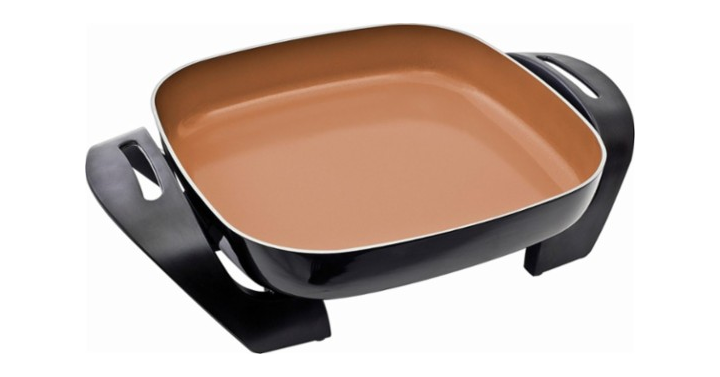 Bella 12″ x 12″ Copper Titanium Electric Skillet – Just $19.99! Looking for a new electric skillet? This one is a great choice! Cook meals away from the stove in this 1200W Bella electric skillet. The scratch-resistant ceramic coating lends itself to fast cooking, and you can serve directly from the pan once you release it from the cooking base. Get it at a great price before it sells out! Get on over to Best Buy and check out the Bella 12″ x 12″ Electric Skillet! Priced at just $19.99!